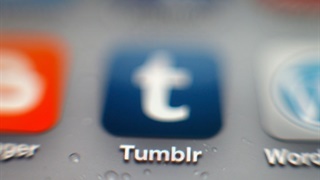 Google rolled out an app aimed at helping parents set and enforce digital ground rules for kids. 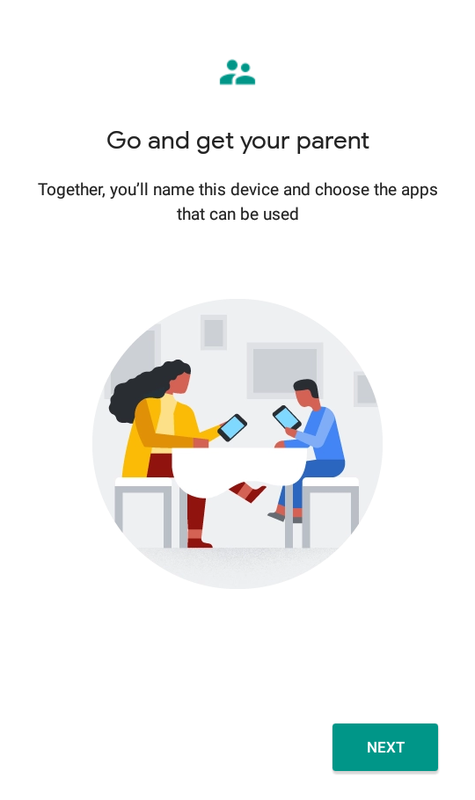 Google Family Link allows parents to manage the apps on children's phones, keep an eye on their screen time and even set a bedtime. We tried out the app and are taken aback at the level of scrutiny and control it gives parents - not to forget being able to completely render the child's phone useless at any time and place with the push of a button. Miserably failing to enforce digital ground rules in your house? There's an app for that. 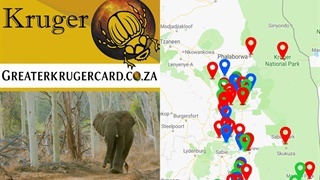 Google Family Link was launched last year and recently became available for use in South Africa. 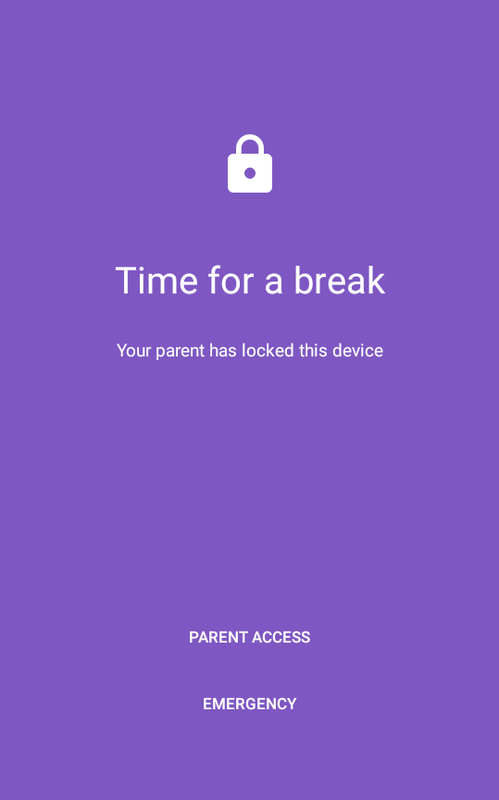 It puts parents in charge of their children's smartphones, allowing them to manage apps (approving or blocking apps they download), manage their screen time (tracking how much time they use on apps and even set daily limits for them) or disable their device by locking it - remotely from theirs. At first, we were quite sceptical: how much control can you exert over another phone just by using an app? But then we checked the app out ourselves and found ourselves heady with power. The parent has to download Google Family Link for parents while the kid(s) download Google Family Link for children & teens - both available for free in the Google Play store for Android devices or the iOS app store. Both parent and child will be prompted to sign up for the apps with Gmail accounts - following which both parties will have to agree to the supervision. The child's acceptance of this officially appoints the parent(s) as administrators of the smartphone. The next step will be to agree on which of the apps on the child's smartphone the parent is allowed to supervise. The list of apps is comprehensive and contains almost all apps on the phone (all apps are selected by default). After both devices have been linked, the parent can monitor the child's use of their phone - and it gets pretty deep. From our test, the parent was able to easily see that day's phone activity. 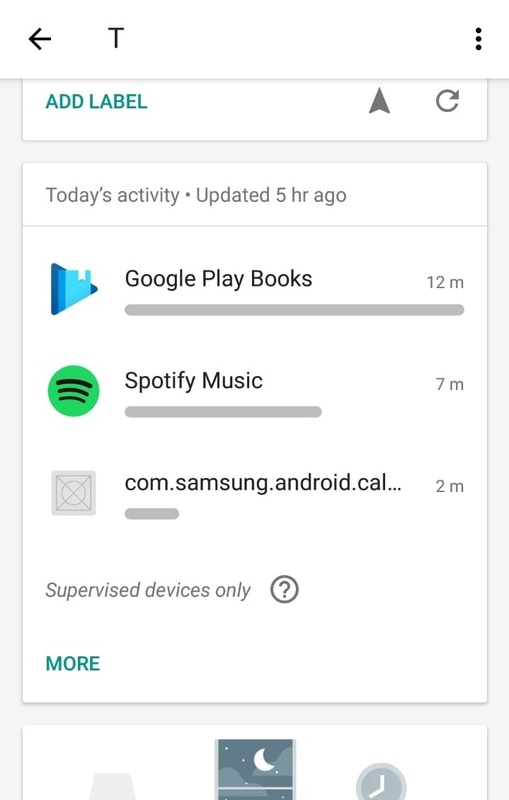 Thus far, the child had spent 12 minutes reading a book in Google Play Books and listening to music on Spotify for 7 minutes. The parent was also able to check the day before's activity of an hour spent on Netflix, 23 minutes surfing the net and 16 minutes of news reading. Parents can also check up to a month's worth of phone activity. 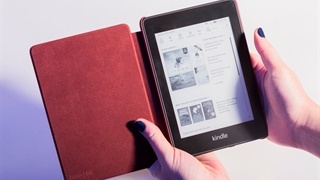 Parents can decide on which websites to allow the kids to visit by either blocking matured content, listing them or having the child seek approval to enter them. 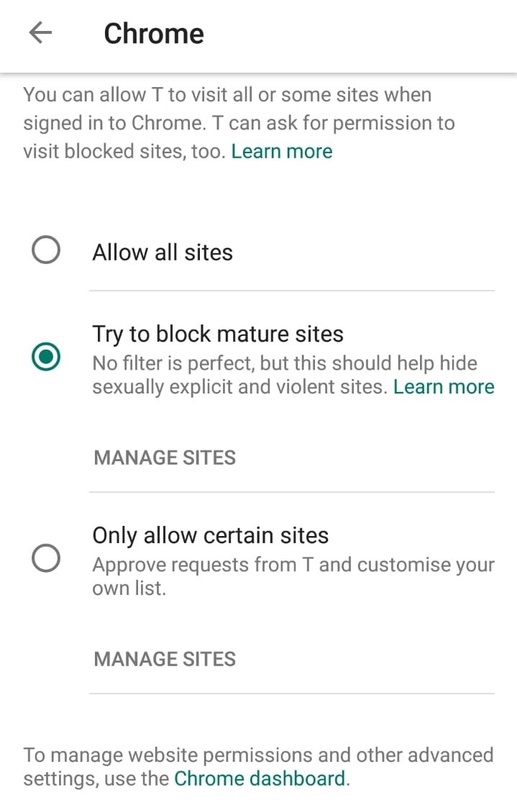 Parents could also turn the SafeSearch feature to bar sexually explicit and violent results from appearing after the child does a Google Search. 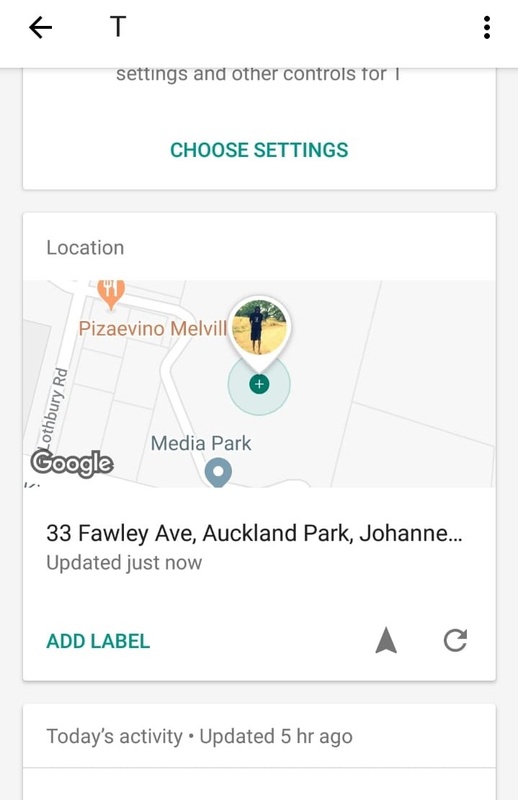 A live location map showing where the child's device is, appears on the main dashboard of the app at all times, making it easier to track whereabouts of the child. Parents are able to set how much phone time the child gets for every day of the week (for example, allowing for more flexibility on weekends). For instance, the parent can set phone time to be between 17:00 to 19:00 on weekdays. Outside these hours, the phone will remain locked. 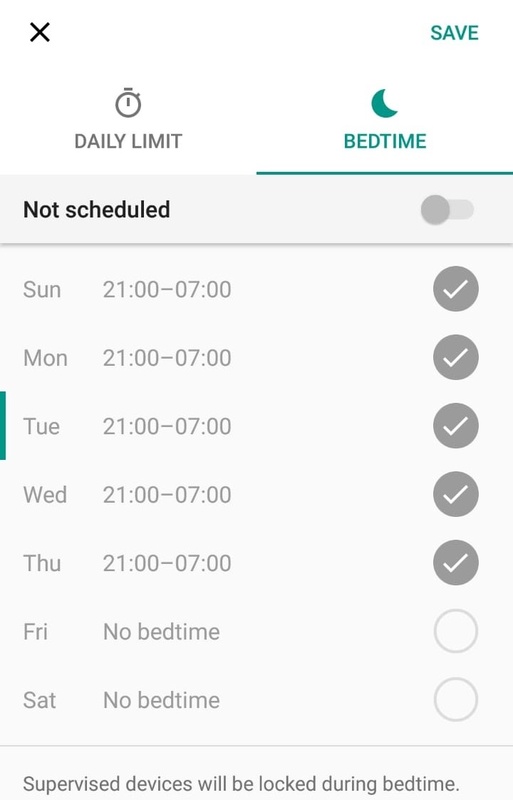 Bedtimes could also be set and for each specific day of the week. 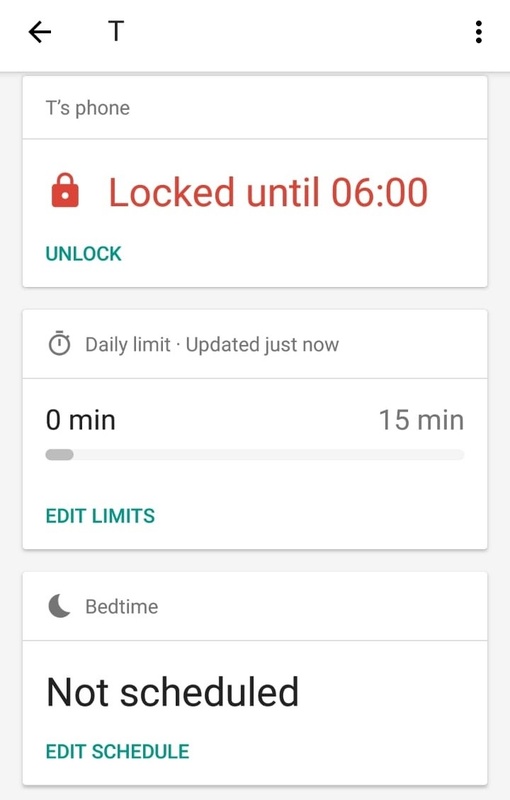 If the parent sets bedtime hours from 21:00 to 07:00 the following morning, the phone will be locked and unusable until sunrise. The parent becomes the alpha and omega with this feature. It places so much power in the hands of parents by allowing them to take the phone away at any time and any place - without touching it. Parents can render the child's phone completely useless with the push of a button. After a parent locks the phone, as we learned the hard way, the device virtually becomes useless except to make emergency calls. 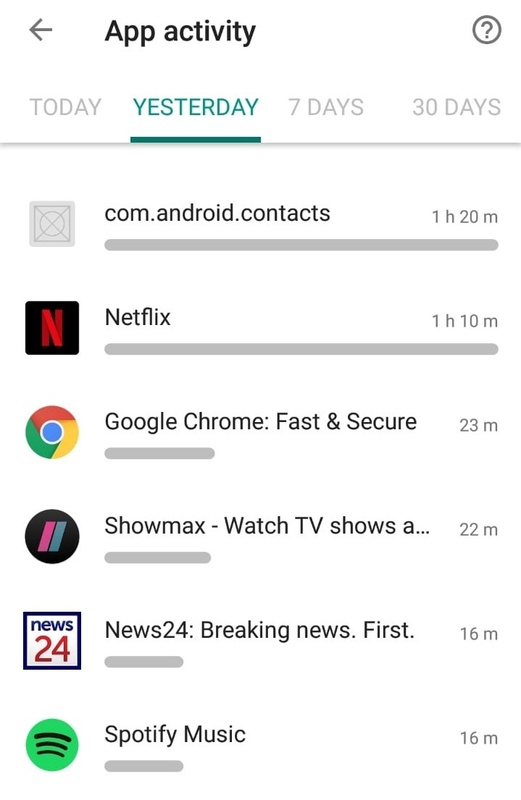 Google tells Business Insider SA that the app falls part of the company's commitment to building tech that's helpful especially in addressing the need to reduce the amount of time spent on smart devices to make way for more balanced living overall.